Don't worry if you are about to go on your first narrow boat hire holiday and have no idea how to operate a lock your trainer will explain it all to you. Locks are devices for raising and lowering narrow boats between different levels of water on the canals. Locks, when you get the hang of them, are all part of the fun of a narrow boat holiday. Open the gate and take the narrow boat into the lock and close the gate behind you. Using your windlass open the sluice gate and allow the water to flow from the top pound into the lock. The narrow boat will then rise as the lock fills with water. When the water level inside the lock is the same as the water level ahead in the canal open the top gates and take the narrow boat out. Close both the sluice gate and the lock gate behind you to preserve water. Open the lock gate and take the narrow boat into the lock, remember to close the gate behind the boat. Open the sluice gate with your windlass and allow the water to drain out of the lock. The narrow boat will lower as the water level in the lock drops. When the water level inside the lock is the same as the water level ahead in the canal open the bottom gates and take the narrow boat out. Close both the sluice gate and the lock gate behind you to preserve water. Feel the excitement of starting a challenging lock flight and get a real sense of achievement as you and your crew navigate your narrow boat through some of these. There are hundreds of locks throughout the canal system and all have a slightly different way of operating. These locks were built to two sizes a narrow locks which can accommodate one narrow boat and a broad lock that can fit two narrow boats side by side, these locks are the most common on the canal system. As canals became busier many locks created bottlenecks so to speed up the passage of the narrow boats another lock was built alongside the existing one. Narrow boats were then worked in pairs in meant that two boats could pass in the locks side by side. Water was a very valuable commodity so Stop Locks were built where canals joined to keep the water belonging to the two canal companies separate. A lock where the gate is wound upwards like the blade of a guillotine. A series of locks in close proximity with a short pound in between. Used when a very steep gradient has to be climbed and where the bottom gate of one is the top gates of the next. As you cruise your narrow boat on the canals you may be lucky enough to encounter one of these famous and awe inspiring narrow boating opportunities. The Hatton Locks are known as the 'Stairway to Heaven' and are situated in beautiful countryside of Warwickshire. The 21 strong flight of locks raise or drop the Grand Union Canal for over 146 feet. The Caen Hill Locks on the Kennet and Avon Canal are the steepest flight of locks in the world. 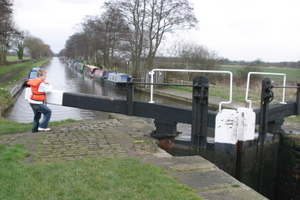 Spread out for over 2 miles the locks will raise your narrow boat for a total of 237 feet. The main flight of 16 locks is built very close together and then forms part of a longer series of 29 locks in total. The Bratch Lock on the Staffordshire and Worcester Canal is the steepest staircase lock in the UK and thee is a lock keeper on hand to help you and your narrow boat through the more complicated workings of this staircase lock. 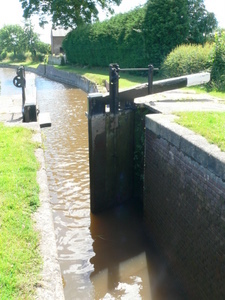 The thirty locks of the Tardebigge Flight is situated on the Worcester and Birmingham Canal. Navigate your narrow boat through the the largest flight of locks in Britain. The Locks raise the canal up 220 feet for over 2 miles and the top lock has a rise of 11 feet which is unusually high for a single lock. The Foxton Flight on the Grand Union Canal close to Leicester consist of two staircases each with five locks. The locks are usually manned and the lock keeper will help you guide your narrow boat through. He will instruct you in which order to open the paddles, red or white, depending on where he wants to direct the water. 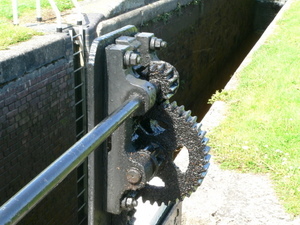 The Tuel Lock on the Rochdale Canal has only been restored as recently as 1996 and is a miracle of modern engineering. It has a drop of around 20 feet and is the deepest inland waterway lock in Britain. An unusual design is it has two sets of lower gates so that water can be saved when shorter narrow boats pass through. 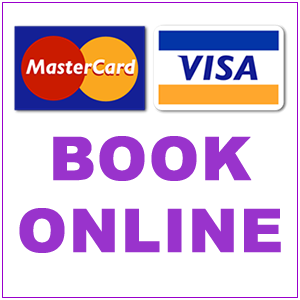 Book your passage with the lock keeper and he will assist you and your narrow boat through. Built in the 1770s the Cheshire Locks raises the Trent and Mersey Canal from the Cheshire Plain at Wheelock. These 31 locks named "Heartbreak Hill" are named not because there are so many but because they are really close together.